Philadelphia Eagles quarterbacks Nate Sudfeld and Carson Wentz. Sudfeld, 25, was originally a sixth-round pick, but because the Eagles have a lot of faith in the young quarterback, they placed a second-round tender on him, which will ultimately cost them more. The second-round tender price will cost the Eagles just north of $3 million against the salary cap this season, leaving them with over $21 million in cap space (per OverTheCap.com). Jalen Mills reportedly cited for fighting NBA player in Washington D.C.
Players with only three accrued seasons in the NFL whose contracts have expired are restricted free agents. The Eagles had four choices of what they could do with Sudfeld, who is a restricted free agent. They could tender him at (1) the first-round level, (2) the second-round level, (3) the level of his original draft position (or low tender), or (4) they can just let him go. Once tendered, if another team were to sign Sudfeld to an offer sheet, the Eagles would have a chance to match that offer, or allow him to sign with the other team, gaining a draft pick in the corresponding round with which they tendered him. The higher the draft round the Eagles tender him at, the higher the cost his 2019 contract will be if he doesn't get any offers elsewhere. 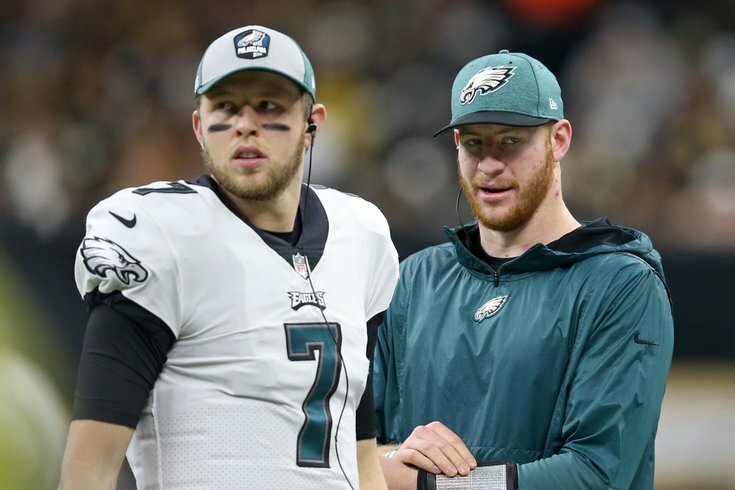 Even though he hasn't started an NFL game in his career, Sudfeld has shown promise in a limited role off the bench, and that was why the Eagles decided to place the higher tender on him. Had they tendered him at his original draft level (sixth round), another team would've been much more likely to try to sign him in free agency, but the second-round pick they would've had to give up in this instance likely scared off most teams. As of now, the backup job belongs to Sudfeld, who saw his salary jump from around $500,000 to $3 million this offseason. But there's still time for the Eagles, who will once again enter the season with Super Bowl aspirations, to add a veteran backup as insurance should Carson Wentz get injured again during the upcoming season. They could also give a serious look to Luis Perez, whom the Eagles signed after the AAF folded. Perez is, at worst, a camp arm and another QB should join the fold at some point this offseason. On a related note, Wentz (as well as Zach Ertz and Jason Kelce) will address the media from the NovaCare Complex at 1:40 p.m. on Monday.